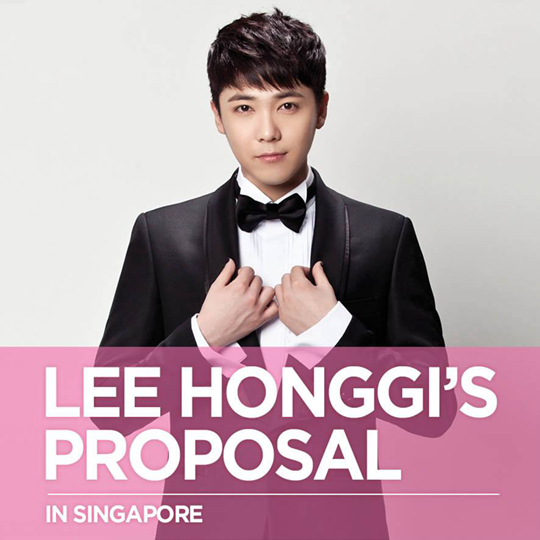 Singaporean Primadonnas, FT Island’s Lee Hongki is having a solo fan meeting called Lee Honggi's Proposal in Singapore on 19 July 2014 at the Resorts World Sentosa Festive Grand Theatre. There will also be Open Press Conference set on the 18th of July 2014, 3.00 pm at City Square Mall, B1 Fountain Square. Tickets for the fan meeting are priced at $175 (Cat 1) and $115 (Cat 2). What special is that the Cat 1 ticket holders will also get a hologram card and all categories will get the chance for Hi-touch event with Lee Honggi! Tickets will go on sale via Sistic on 16 June 2014. Priority sale for Mastercard holders starts on 12 June 2014. The Sistic page for this event is not up at the point of writing.